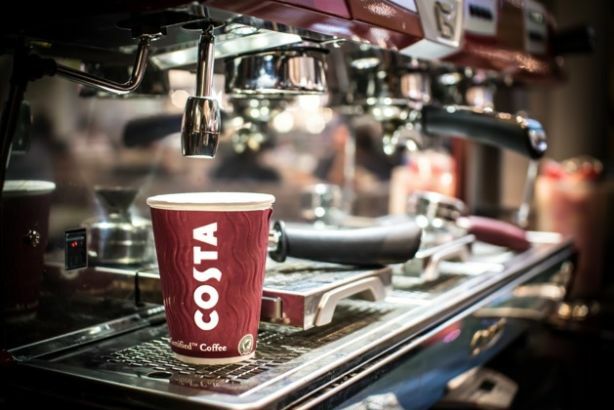 Costa adds Another Word to roster, Citigate takes on Stout, Hanover Housing Association hires Frontier PR and more from PRWeek UK. Another Word has been appointed as Costa's retained corporate PR agency, working alongside the brand's existing agencies including Tulchan and Glasshouse, whinch advise on financial and CSR respectively. Another Word did not competitively pitch for the brief. The agency will report to Costa head of comms Kerry Parkin and will deliver a reputation management brief. Citigate Dewe Rogerson has appointed Katja Stout as a director in its life sciences team. Stout has 20 years of healthcare and life sciences comms experience, and moves from Scius Communications, which she founded. She previously worked at AstraZeneca and founded another agency, Northbank, which was sold to what is now Instinctif Partners. Frontier PR has been selected by Hanover Housing Association to support the roll-out of new, high specification properties for people over the age of 55. Frontier will develop a PR plan for the programme supporting local sales and marketing activity, as well as positioning Hanover as a housing provider of choice. The agency will meet with local agents and with joint venture partners as part of the contract. M&C Saatchi Sport and Entertainment has been appointed by Contego Sports as its international marketing and PR agency. Contego is developing a head protector to reduce the risk of concussion, which has become a prominent issue in rugby and other sports this year. The agency's remit will include the global launch strategy, ongoing international PR support, social media integration and brand development. The national trade body of hospital caterers, Hospital Caterers Association, has appointed Open Door PR as its public relations representatives following a competitive tender process. The agency will be responsible for developing a national platform and a strategic comms plan to broaden the reach of the HCA, which represents members employing a total of 35,000 people in the UK. Nelson Bostock Unlimited has been appointed at the UK PR agency for people-based marketing firm Signal. Nelson Bostock Unlimited’s programme will focus on positioning Signal and its offering for the UK market, localising the company’s messages for UK marketers and establishing a thought leadership platform for the EMEA team. Antlos, an online marketplace for boating holidays, has appointed Rooster PR to develop a PR campaign to build awareness of the site and generate bookings. Rooster won the work following a competitive pitch. Antlos was launched in May this year and aims to make boating holidays more affordable and accessible by connecting guests directly with boat owners. Parks and open spaces charity Fields in Trust has appointed Grayling to a wide-ranging brief including media relations, public affairs, event management and digital engagement. It will see Grayling helping Fields in Trust raise awareness of the importance of universal access to free, local outdoor space for sport, play and recreation. Newcastle-based creative, digital marketing and PR agency ramarketing has located staff in Nottingham and London as it looks to provide a more localised service to clients in the Midlands and the south. New hire Ali Woodhouse is based in Nottingham, while Marta Rusinowska, who has worked for the firm since 2010, is based in London.